These pure protein wafers are just the treat for any dog that needs to avoid grain in it's diet. 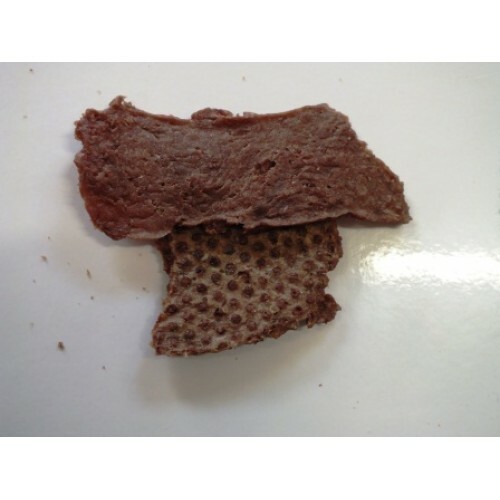 Our range of air dried wafers are completely grain free and are easy to break into bite size chunks - and they're high in available calcium and phosphorus due to the inclusion of minced bone in the wafer. So if your dog has diabetes, pancreatitis, weight problems, digestive problems or arthritis to name just a few of the plethora of auto-immune diseases affecting our dogs, don't give them a biscuit containing inflammitory grains, give them a wafer - much more biologically appropriate and so much healthier!